I love his music. He’s an international treasure. 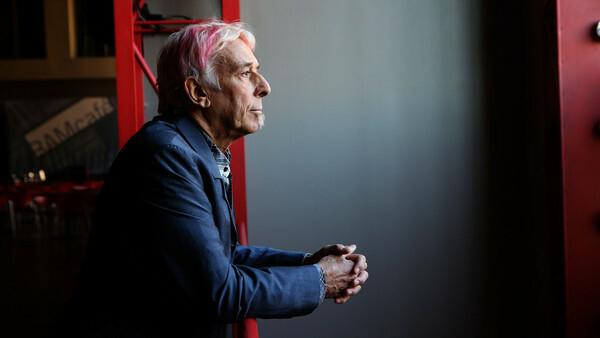 See what John Cale is up to next. I’ve posted poems about my father before here and here. He served in WWII in the North Africa campaign. He was decorated with the Silver Star and the Purple Heart and later, was part of the effort to sell war bonds to fund the war effort. If you’ve seen Flags of Our Fathers, you might recall the scenes about the war bond tours. My dad was on the Third War Bond Tour, along with several celebrities of the day, including Elyse Knox, an actress and model later married to football star Tom Harmon, and the mother of actor Mark Harmon. The photo above was taken during one of their events in Milwaukee, in September, 1943. 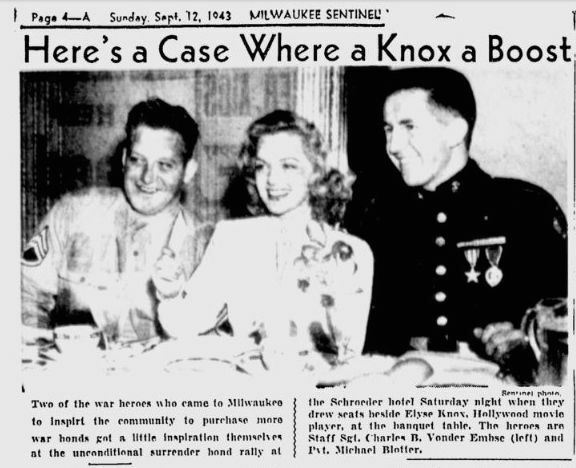 The captions reads: “Two of the war heroes who came to Milwaukee to inspire the community to purchase more war bonds get a little inspiration themselves at an unconditional surrender bond rally at the Schroeder Hotel Saturday night when they drew seats beside Elyse Knox, Hollywood movie player, at the banquet table. The heroes are Staff Sgt. Charles B. Vonder Embse (left) and Pvt. Michael Blotter. Many readers have said they enjoy listening to the audio of my poems, so I’ve posted some more recordings. Thanks for the feedback, and thanks for lending your ears. Scroll down and enjoy.